Imagine a land where all words are produced in a huge word factory. No word may be spoken unless it is bought and swallowed. In this world, the rich get to speak more often and use more powerful words. Poorer people cannot a ord to buy these words and must use more common, less e ective words, if they can a ord any words at all. A young boy, Phileas, must nd his own way of expressing his love for a young girl Cybele. But what can he do when he can only a ord a few words? 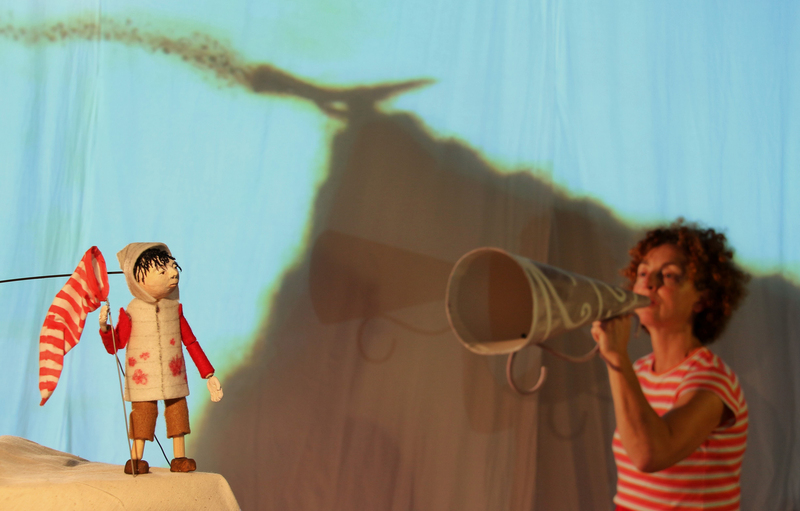 Theatre Anon retells this tale through theatre, puppetry, music and live projections, in an adaptation of the album “La grande fabrique de mots” written by Agnes de Lestrade and illustrated by Valeria Docampo © Alice Editions, Brussels. Immaġina pajjiż fejn il-kliem kollha huma magħmulin ġo fabbrika kbira tal-kliem. Jekk trid tgħid xi kelma trid tixtriha u tiblagħha. F’din id-dinja, is-sinjuri għandhom aktar kliem x’jużaw u jistgħu jitkellmu b’mod aktar qawwi. Il-fqar ma jistgħux ja ordjaw jixtru dawn il-kliem u jkollhom jużaw kliem aktar komuni u inqas effettivi, naturalment dejjem jekk jistgħu jaffordjaw li jixtru xi kelma kultant. Tifel żgħir, Phileas, għandu bżonn isib mod kif jesprimi mħabbtu lil ti a żgħira Ċiniża, Cybele. Imma x’jista’ jagħmel jekk kulma jista’ jixtri huma biss ftit kliem? Theatre Anon jirrakkonta din il-ġrajja permezz ta’ reċtar, pupazzi, mużika u projezzjonijiet ħajjin, biex jagħti ħajja lil dan il-ktieb popolari mat-tfal miktub minn Agnes de Lestrade u Valeria Docampo.